Being productive can be hard, especially when you have too many things on your to-do list, and have no idea where to start. As a human who likes to pack a lot of stuff into their day, I've struggled with managing my blogging time and balancing it with everything else I need to do. Being productive can be hard, especially when you have too many things balanced on your plate. Most of the time, you don’t know where to start. As a human who likes to pack a lot of productivity into their day, I’ve struggled with managing my time - creatively and in the other areas of my life. The balancing act is hard, so I’ve compiled some of the tips that work best for me. PS: There’s a link to a print out of the exercises that correspond with these tips at the bottom of this! 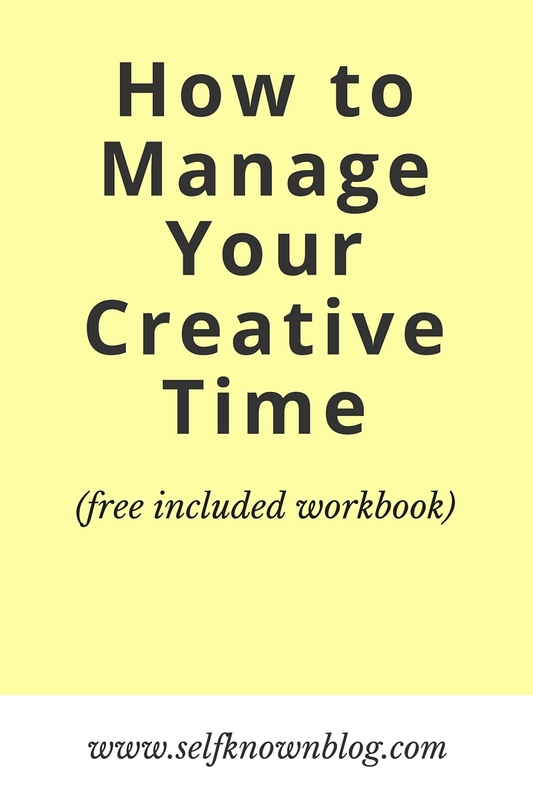 Before you can manage your time, you need to figure out what it is you want to get done. Do you want to work on a sketch, take some pro headshots of yourself or spruce up your blog? Or do you want to focus more on growing your social reach and building an online community? Maybe your favorite book needs some lovin’. Whatever it is, take the time you have now to figure out what you want to get done later. Trust me, spending an hour or two planning out your week will save you so much time. I promise. Well guess what, guys. Sometimes I don’t finish my to-do list (gasp). And the world hasn’t ended! But how do you avoid that to-do list anxiety? You need to figure out which items on your list will contribute to your current goals. If you have “Paint cabinets” on your list, but have the goal of producing valuable content for your blog readers, you need to decide which is more important. Spending time on your cabinets or your posts. I find that I'm more productive when I know that every x amount of minutes I'll have a five minute break before switching tasks. If I give myself a time limit, I do the bare minimum for an icky task in less time, giving me more time for fun tasks. Timers pull me back into the moment and remind me that there's work to be done, effectively reducing distractions. Mundane tasks get done quicker. My advice: set a timer (25 minute intervals with 5 minute breaks work best for me). You won't regret it. Everything will seem to go by faster and you'll feel like a productivity machine! Sometimes it's enough to plop back into your bed at the end of the day with the slight numb of your productive day on your mind. Sometimes. But not all the time. That's why you need a rewards system in place. It will not only motivate you to work harder, but it will also make completing a task that much sweeter. We all have days where, no matter how hard we try, we're tired and just not motivated to get anything done. And it's okay to have those days - it's usually your body saying, "Hey, you've been working hard lately. Why don't you take a break?" So make sure to take hold of those days and rest as much as you can. And don't be too hard on yourself. Just make sure to get up the next morning, prepared to manage your time. Get your FREE time managing exercise companion booklet today! Firstly, I love this post. Definitely helpful. Secondly, I nominated you for The Creative Blogger Award.